Excellent detail recognition, even of distant objects, thanks to its high magnification. Available with black rubber armouring only. 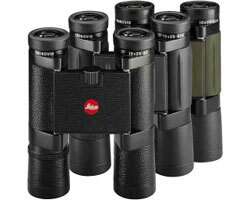 Supplied with a padded cordura pouch, embossed with the Leica logo.